Fabrication processes are those steps required in the production of integrated circuits required for all the miraculous devices we use every day to communicate, to learn, to play and to work. 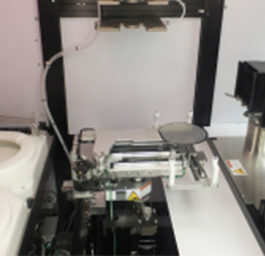 They are a sequential set of tasks utilizing photolithographic and chemical processing techniques. The circuits are created on wafers made from semiconductor materials most typically silicon. There are, however, other options available for certain specialized applications. The process times are lengthy and the investment in both materials and machines is enormous, but the creation of value is far greater when the process is carried out with both accuracy and precision, on target and repeatable. Then there are the photolithographic steps and processes whose purpose it is to define where materials are and where they are not. It is this presence and absence that creates the pattern and therefore the function of the circuit. These steps are called “Patterning”. Includes processes that delineate, or otherwise alter the deposited and modified materials. Typically referred to as lithography, these processes often begin with wafer coating. Photoresists are used for this purpose. Steppers focus, align and move the image of the mask or reticle. As a result, selected portions of wafer are exposed to the light. The exposed regions can then be washed away with a developer solution. Following the etching and other sequential steps, photoresist is also removed from the wafer. These processes may also be individually categorized as tuned for front-end-of-line (FEOL) processing and/or back-end-of-line (FEOL) processing steps. At S-Cubed, you find an array of photolithography developers and photolithographic coaters, perfectly matching your high throughput requirements. Scene 8 and Scene 12 photoresist processors support baking, coating and developing steps for up to 200mm and 300mm wafers, respectively. You can opt for our combined wafer edge exposure and developing process automated module. It can be integrated with a coater and/or developer subsystem. 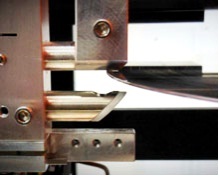 Our Versa Tool products can perform single wafer wet chemical cleans. Our robotic tools help you achieve both inter-wafer and intra-wafer uniformity during both FEOL and BEOL wafer processing. Our experts are always available to answer your questions and help you find the right tools. Get in touch with us online or call at (973) 263-0640.